At the end long and rocky journey Shelley has reclaimed the road as 14 time world para cycling champion. Heading into parenthood with a child who has a physical disability is daunting for most parents. His KAFO needs to stand up to construction sites, ATVing in the woods and swimming with great white sharks. It was when he got his first pair of braces at Boundless through ErinoakKids Centre, that his mobility really started. 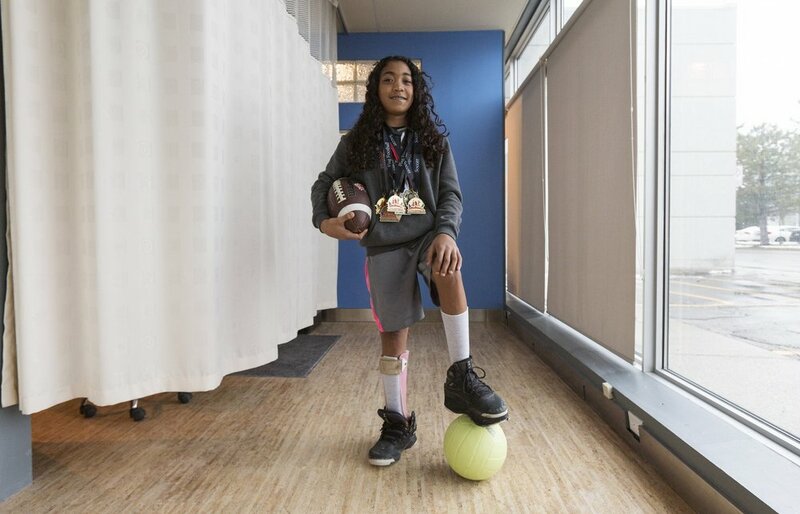 Growing up, Anisa has had a lot of different types of braces, ranging from a full leg brace called Knee Ankle Foot Orthotic (KAFO) to shoe lifts.